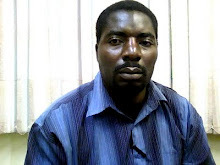 Mr Gregory Gondwe is a Malawian journalist born in 1974. Until March 31, 2012 he was working as Regional Editor and Northern Region Bureau Chief for Zodiak Broadcasting Station (2007- November 2010). He was also Chief Reporter before returning to his old post in June 2011. He a Correspondent for BizCommunity as well as BiztechAfrica. He is also stringer for CNN. Initially Mr Gondwe was a senior reporter as well as Features Desk Head for The Chronicle of Malawi which disbanded in 2005. He was a Malawi stringer for the African News Dimension network but also worked as a Malawi Correspondent for The Windhoek based The Southern Times. Gondwe started practicing journalism in 1993 when the country was undergoing transition from one party dictatorial rule to multi party democracy while he was still pursuing his secondary school education. His career has span through paper reporting where he has produced quality news and feature stories for major publishing houses for Malawi’s daily newspapers; The Nation and The Daily Times’ two weeklies, Malawi News and The Weekend Nation besides stringing for Malawi’s public broadcaster, the Malawi Broadcasting Corporation. Gondwe Community: Christian website & site for Gondwes, relations, & friends from Malawi, Zambia, South Africa, Tanzania, Zimbabwe, etc.